When your garage door stops working, it can make life very difficult. The last thing you'll want to be doing is dealing with a stuck door when heading out to work, picking the kids up from school, or heading out for your holiday. We understand how frustrating these kinds of malfunctions can be which is why our professional technicians are committed to getting your door working again as soon as possible. Our technicians don’t just treat the symptoms of a broken door - they also trace the problems back to find out what the original issue was. This means you can be safe in the knowledge that your door is unlikely to develop further faults once we've got it working again. 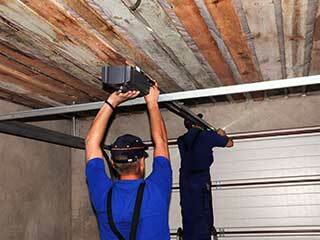 Garage doors can be damaged in subtle ways when a part fails. Our technicians will carefully assess your door’s overall condition to identify any areas that have been stressed or damaged. They’ll point out areas for concern, and help to ensure your door is restored to perfect working order. Many common door problems can be caused by a lack of regular professional maintenance. Our technicians know exactly what each door needs and can help you to extend your system’s life by carrying out in-depth maintenance to protect against future problems. As a professional garage door repair business, we stock all the modern parts necessary to keep these systems in top working order. Many homes have garage systems that are decades old, and in need of updating - our replacement parts are just what is needed when it comes to upgrading these old systems. If your door is in need of repair, our team of technicians at Garage Door Repair Cedar Hill is ready to help. Whether your problem is a major or minor one, we're here to help you solve it - contact us today to find out how we can help you.